The Republicans and Democrats are teaming up against the Trump Party. Trump, who earned the White House by appealing to voters instead of the establish GOP who pour millions and millions of dollars into Jeb Bush and foam boy Rubio are still rebelling. Republicans in Congress, including Rep. Carlos Curbelo said that he had teamed up with Rep. Will Hurd for a “Problem Solvers Caucus” to see if they could team up with the Democrats on a “potential compromise” with Democrats to crush Trump’s America First immigration overhaul. Last spring we noticed that Rep. Carlos Curbelo was a “troubled” Republican, despite the comfortable approval rating from regular Trump voters. Trump was enjoying an 84% approval rating, but still, GOP Congressmen were turning their backs. Earlier this week Rush Limbaugh was commenting on the conservative establishment, saying that he said that if Trump was one of their candidates, they’d be dancing in the streets. Trump is delivering a tax cut, but still the establishment Republicans who weren’t involved in approving him choose to rebel. Trump was once the 2% approval candidate, but he slowly picked himself up by appealing to the voters, not the GOP kingmakers. The same losers in the GOP would prefer to have one of their loser candidates lose the election to Hillary Clinton instead of praise Trump. Even Paul Ryan, who has reportedly laughed at the very idea that Trump would build a border wall, has gone along with Trump lately. House Speaker Ryan has said that he doesn’t believe there will be any debate on Amnesty… until January. Appropriation bills included the tax reform bill currently inching its way to Trump’s desk for final approval. And it means that the Republican Congressman from Florida would vote for the federal government to shut down as long as it means that Trump’s immigration policy won’t go through. 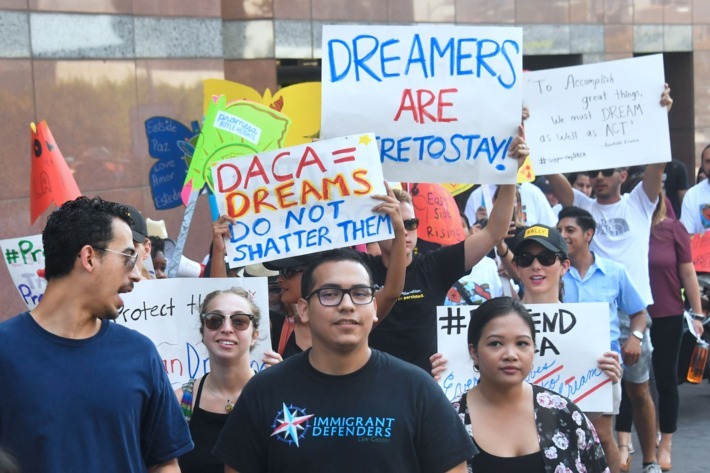 If you look at what the voters want, approximately 2 out of 5 swing voters say that DACA, Delayed Amnesty for Childhood Arrivals, should not be a priority for Congress, but 1 out of 4 swing voters want the federal government to work on the opioid abuse crisis. Both clamping down on illegal immigration and the drug abuse crisis were high on Trump’s list of campaign priorities and both were issues that separated him from the other, more establishment GOP candidates.